Note: If you use the toronja (grapefruit) flavor + tequila, you can make a version of my paloma recipe! 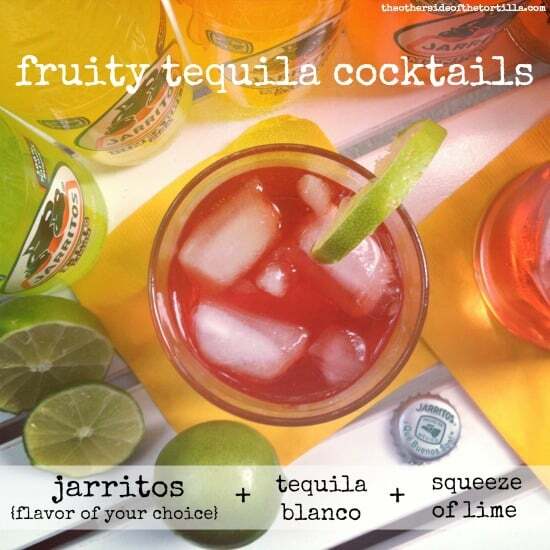 A fun and easy tequila cocktail made with fruity Jarritos soda. Add ice and tequila to the glasses. Use 1-2 ounces of tequila per glass, depending on how boozy you'd like your cocktail to be. Pour half of the soda into one glass and the rest in the other glass. Squeeze a little fresh lime juice in each glass. Garnish the glasses with a slice or wedge of lime. Sounds sooo good and refreshing. 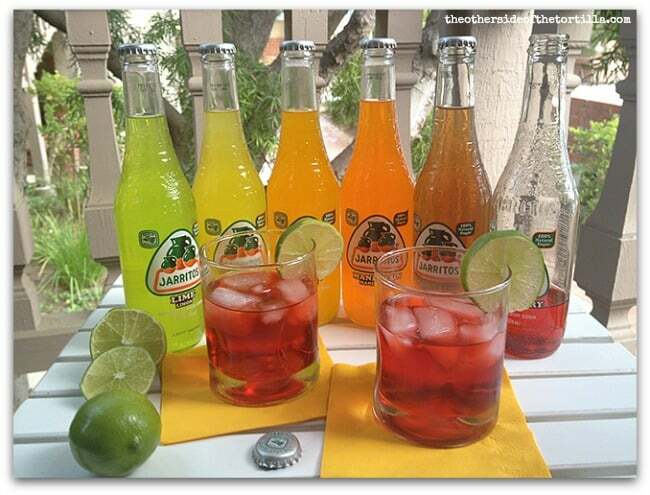 Using fruity soda like Jarritos is a great idea! Yep, I am a tequila connoisseur and I enjoy the occasional paloma. I use grapefruit and lime flavors cause I don’t like the fact that Squirt in the U.S. contains high fructose corn syrup. We only use Jarritos, Sierra Mist, and Throwback Pepsi for mixing. It doesn’t taste as good with all flavors, but today I muddled some cilantro and lime in a glass, added some white rum and added pineapple Jarritos. It was legit! Will try guava or mango next time!